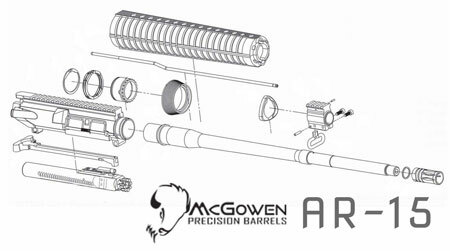 McGowen Precision Barrels manufacturers barrels in multiple configurations for the AR15 & AR10 platform. 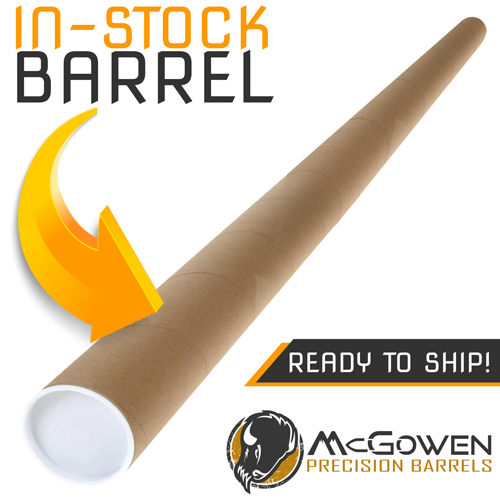 Your new AR15 or AR10 barrel comes complete and ready to install on your receiver. All barrel extensions that we use incorporate M4 feed ramps. We have found that the M4 feed ramps are ideal for use in any weapon or with any cartridge.  The cost of an AR15 barrel is dependent upon the make-up of the barrel, including length, material, and extras like fluting. You can order a custom AR15 either via telephone, email, or with our online form here. A “standard” AR15 is up to 18″ long. It can be either Stainless Steel or Chrome Moly. The muzzle is threaded with the proper threads dependent upon the cartridge. In 223 or 5.56 the standard muzzle thread is 1/2″ x 28 TPI. For the 300 AAC Blackout the thread is 5/8″ x 24 TPI. Also note that the contour of your AR15/10 barrel is dependent upon your gas block diameter that you are going to use. Most common is .750″, but there is also .625″, .875″ and .936″. Unless you are using a “clamp-on” gas block the muzzle diameter will be dependent upon the gas block size. For example: If you are using a slip on .750″ gas block, the largest diameter that the muzzle can be is approximately .750″. *If you request a thread that we do not currently offer, there will be an additional charge of $10.00 added to the cost of the barrel. This will show as “Non-Standard Thread” on your invoice. We also offer standard bolt heads for the 5.56 NATO, 223 Remington and 223 Wylde cartridges as well as standard A2 Style Flash Hiders and Lo Profile .750″ Gas Blocks. Check out the Firearm Accessories page for more details. What is the Correct Gas System Length for my Barrel? The Muzzle is threaded with the proper threads dependent upon the cartridge. In 223 or 5.56 the standard thread is 1/2in x 28 TPI. For the 300 AAC Blackout the thread is 5/8in x 24 TPI. Fluting an AR Barrel removes OUNCES. If you request threads that we do not currently offer, there will be an additional charge. The cost of an AR10 barrel is dependent upon the make-up of the barrel, including length and whether it is fluted. You can order a custom AR10 barrel via telephone, email or the PayPal form below. Typical 308 Winchester threads are 5/8″ x 24 TPI.